At the Piatchek Law Firm, our attorneys focus on helping your family navigate the sometimes complex world of elder law, including government agencies, social programs, nursing homes, and assisted living facilities. Our attorneys can help you identify and answer the relevant questions, including those related to retirement, long-term care, nursing homes, Medicaid, estate planning, and probate. The rules and regulations involved with elder law are vast and complicated, so you need attorneys you can rely on during these often difficult times. We care about our clients, and we try to help them make the same decisions we would make if they were a part of our own family. We understand that a special type of understanding and compassion is required when dealing with these sensitive issues, and we treat our clients and their families with the highest level of compassion, dignity, and respect – regardless of age, income level, or station in life. In addition, we have the knowledge required to advise our clients on numerous elder law scenarios, and our attorneys use a wide array of techniques in pursuit of achieving our clients’ goals. Call our office today at 417-882-5858 or send us an e-mail to schedule an appointment, so that we can discuss your specific questions and concerns regarding elder law. Our attorneys are compassionate, experienced, and uniquely qualified to address your family’s elder law and estate planning needs. Attorney Joseph J. Piatchek is a former Community Support Worker at Burrell Behavioral Health, Senior Connections, in Springfield, Missouri, where he provided case management and support services to seniors with persistent mental (and physical) illnesses, including many patients with various stages of Alzheimer’s and dementia. Mr. Piatchek graduated with honors from the University of Missouri with a Bachelor’s degree in Psychology. He also has an advanced certificate in dispute resolution and is a certified mediator. These skills are beneficial when dealing with sensitive family issues and third parties, such as government agencies or nursing homes. 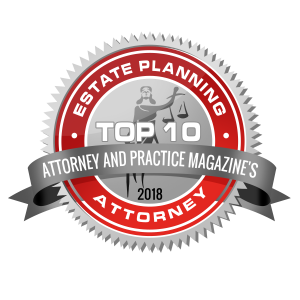 Mr. Piatchek is also an experienced estate planning and probate practitioner, having assisted many clients with estate planning concerns like wills, revocable living trusts, powers of attorney, and health care directives. He is a member of the Greene County Estate Planning Council, as well as many other civic and community organizations. The Piatchek Law Firm works with a network of attorneys throughout Missouri (both inside and outside of the firm), and these attorneys are available for consultation depending on your needs. Our in-house attorneys are well rounded with backgrounds that include a wide array of different legal services. We have multiple attorneys that have worked in fields like psychology, health care, and general business, and we have experience in legal areas like family law, business law, and real estate. We are able to identify and address many types of problems that arise during estate planning, and we can help your family meet these challenges. At the Piatchek Law Firm, we understand that you and your loved ones have worked hard your entire lives, and you don’t want to see the assets for which you worked so hard be eaten up by probate courts, nursing homes, or the government. Please consider allowing us to advise you regarding how to best protect your family and your assets. We can assist with all of these issues and provide you with comprehensive asset protection and estate planning strategies. By consulting with one of our attorneys, you can get answers to many of your questions and more successfully navigate the often complicated and sometimes subtle nuances in the world of nursing homes, government programs, and assisted living facilities. Call us today at 417-882-5858 to set up a complimentary consultation.